Humanists UK and its armed forces section, Defence Humanists, will be represented at the London ceremony by Chief Executive Andrew Copson, after it was announced last month that a humanist representative would be invited for the first time after years of campaigning by Humanists UK and Defence Humanists. It will also be the first time that a Wales humanist representative will take part in the Welsh national service. Lorraine Barrett, the former AM who conducted the First Minister of Wales’ funeral last year, will represent Wales Humanists in Cardiff. More than a quarter of serving members of the armed forces describe themselves as having ‘no religion’ but, until now, they have not been officially recognised at the National Remembrance Day ceremony despite religious representatives having an official spot at the commemorations. Representatives from Northern Ireland Humanists will be taking part in the official ceremony in Belfast and Humanist Society Scotland’s John Bishop will be representing the non-religious at the official ceremony in Edinburgh. Humanists UK has a proud history of advocating for inclusive public ceremonies that are equally inclusive of all faiths and none. For many years Humanists UK and Defence Humanists ran ‘For All Who Serve’ to campaign for a 21st century remembrance. ‘Today is a hugely special day for humanist representatives across the UK. We are honoured to represent non-religious armed forces personnel who have given tremendous sacrifices in serving their country in conflict and war. 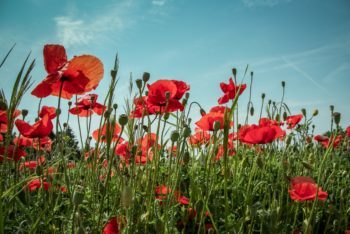 Humanists UK will continue to urge that remembrance services across the UK should be secular and fully inclusive occasions.